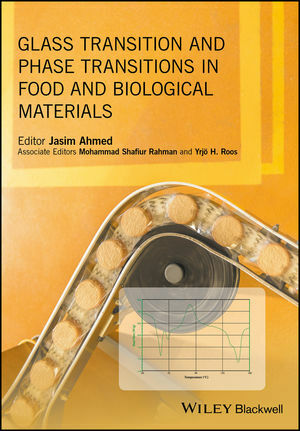 Glass and State Transitions in Food and Biological Materials describes how glass transition has been applied to food micro-structure, food processing, product development, storage studies, packaging development and other areas. This book has been structured so that readers can initially grasp the basic principles and instrumentation, before moving through the various applications. In summary, the book will provide the “missing link” between food science and material science/polymer engineering. This will allow food scientists to better understand the concept and applications of thermal properties. Jasim Ahmed is Research Scientist, Kuwait Institute for Scientific Research, Kuwait. Mohammad Shafiur Rahman is Professor, Sultan Qaboos University, Sultanate of Oman. Yrjö H. Roos is Professor, School of Food and Nutritional Sciences, University College Cork, Ireland. Su Guangming, Zhu Songming and Ramaswamy H. S.